More cruise ship injuries, deaths and incidents as safety practices become more lax. The cruise ship industry is plagued by norovirus and other multiple claims of sickness and illness from unsanitized standards and crew practices. Fortunately, those incidents are often temporary and transient. However, in an effort to aggressively compete, each major cruise line has made their ship a “recreational or theme park” resulting in more serious injuries, drowning accidents and deaths on board and through excursion packages. Where is the ship that doesn’t have tennis and basketball courts, Jacuzzis, water slides and an entire array of poorly planned and non-supervised activities to keep passengers fully occupied. “The experience is no longer the cruise, but rather the activities aboard the cruise ship,” according to noted maritime lawyer, Ira Leesfield. An online search of the diverse and dangerous activities for each vessel does not reveal the failure to provide lifeguards, safety officers and crime deterrent, uniform and non-uniformed cruise personnel. Recent rise in cases through the cruise industry is commensurate with the tremendous increase in the number of passengers and the obvious profit incentive of shepherding the largest number of passengers with the smallest number of staff. The Maritime Limitation Action – When you cannot avoid it, Postpone it! 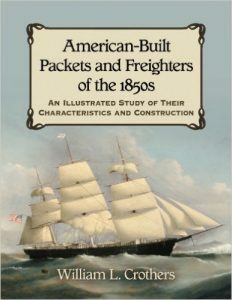 In the mid-nineteenth century, Congress passed the “Limitation Act” to induce capitalists to invest money in the maritime and shipping industries. The Act achieves this purpose by exempting allegedly innocent vessel owners from any liability beyond the value of their vessel, i.e. “the limitation fund.” In other words, where a vessel owner is not personally negligent, the full extent of his liability is the limitation fund. The Act applies to all kinds of vessels, including commercial boats, pleasure yachts, and even jet skis. Most commonly, the Limitation Act is invoked where a maritime accident is caused solely by the negligence of the vessel owner’s employee or agent. When faced with liability, a vessel owner may file a petition for protection under the Limitation Act, which must be filed in federal court. Without question, the Limitation Act is an antiquated doctrine that serves to deny justice to victims of horrific maritime accidents. For instance, the owner of a large, successful maritime corporation (i.e. tow boat company, marine salvage company, jet ski rental company) may be entitled to significantly reduce the value of injury claims caused by their employees. Additionally, injury victims are forced to bring their claims in admiralty jurisdiction upon the filing of a limitation petition, which deprives them of a jury trial. As discussed below, there are exceptions to these harsh procedural hurdles that must be utilized in maritime injury cases.